On September 23rd Startup Grind Vienna is hosting Harald Mahrer, the Austrian Secretary of State in the Federal Ministry of Science, Research and Economy. Join us to find out more about his story, his background as an entrepreneur and business angel, and his plans for the Austrian startup community and more moving forward. he is committed to creating the best possible framework conditions for visionaries, explorers, dreamers, idealists - our future entrepreneurs. 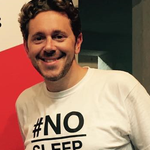 His aim is to make Austria the number one startup hotspot in Europe. Harald Mahrer completed his studies at the Vienna University of Economics and Business (WU) and became Research Assistant as well as Assistant to the rector at the WU afterwards. He also established the Institute for Economical and Political Research called "Metis Institute". He holds a doctoral degree in Social and Economic Sciences. From 2000 to 2014 he was the managing director of various companies including "legend consulting GmbH" or "Pleon Publico".He successfully founded the "cumclave Management Consulting GmbH" as well as "HM Tauern Holding Beteiligungsgesellschaft m.b.H". Since September 2014 he is the State Secretary in the Federal Ministry of Science, Research and Economy. As a former angel investor he is firmly convinced that start-ups can play a vital role in overcoming stagnating economic developments by boosting (social) innovations. Therefore we are looking forward to getting inspired by his vision for the Austrian start-up scene and find out more about his ideas and upcoming projects.